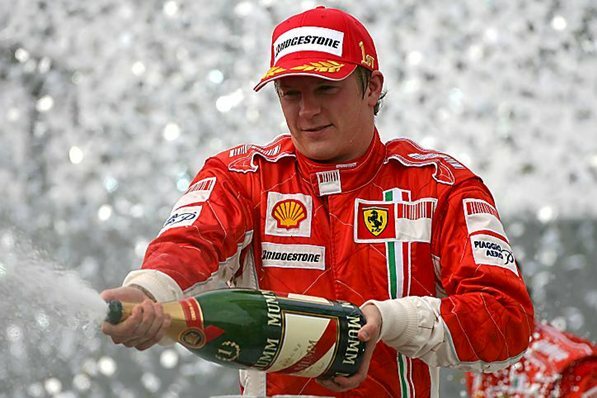 Kimi Raikkonen will leave Lotus and make a sensational return to Ferrari in 2014, it was confirmed on Wednesday. It follows Tuesday’s news that Felipe Massa will exit the Italian team at the end of the year. Raikkonen - who previously drove for Ferrari between 2007 and 2009, winning nine races and the 2007 drivers’ title - has signed a two-year deal with the Scuderia, ending intense speculation about his future. The Finn will join Fernando Alonso, meaning that Ferrari will enter next season with an all-world champion line-up. “I am really happy to be returning to Maranello where I previously spent three fantastic and very successful years,” Raikkonen told the Ferrari website. "I have so many memories of my time at Ferrari, memories which have stayed with me these past years, first and foremost, winning the world championship title in 2007, which was really unforgettable. Raikkonen left Formula One racing after his first stint with Ferrari came to an end, but returned to the sport in 2012 with Lotus, finishing an impressive third in the championship. He’s scored one victory so far this season and currently sits fourth in the drivers’ standings, 88 points behind championship leader Sebastian Vettel.